you are sick of having a dirty toothbrush cup, and especially that unappetizing wet goo on the bottom. you like everything to be clean and tidy, and you will go out of your way to find a means of organizing your bathroom goodies. Carefully clean and dry the surface before placing the suction cup. Don't wet the suction cup. This product did not let us down when we tested it: a sleek and timeless design, very functional and adaptable to various toothbrush formats, be they classic or electric versions. Impeccably made and finished. This toothbrush holder was made in a special workshop that uses handicapped workers, located in the Bavarian village of Wasserburg am Inn. Fairwerk employs over 300 handicapped workers under their motto: beautiful things made by the handicapped. Using a method that breaks down processing jobs into simple tasks, the company makes products that are increasingly complex, with the same high quality standards. adaptable: works as well for a single person as a big family. To each his or her own suction cup holder. 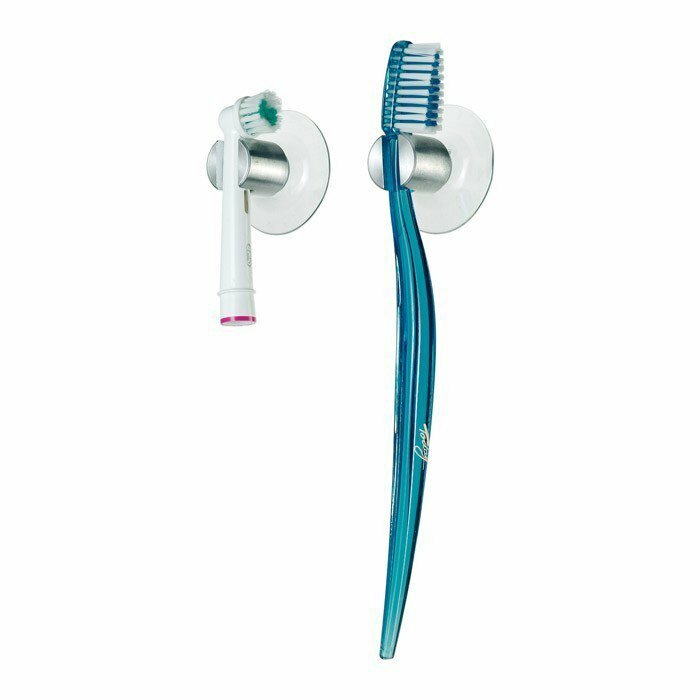 hygenic: all alone out there, exposed to the air and far from its cousins, your toothbrush dries perfectly. Thus avoiding contact with the bacteria bath that you were unwittingly cultivating in your your old toothbrush cup. 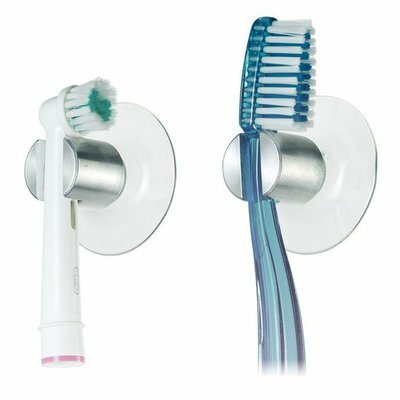 practical: your toothbrush holder is always in reach, easy to grab and to replace. For your kids, the neatly placed toothbrushes will remind them in the morning and evening that its time to brush their teeth (and then go to bed).